Your Body: The Role Of The Spine | Welcome to Peak Performance! The spine is an amazing set of bones called vertebrae. The vertebrae are separated by special rubbery discs and interlocked by processes of bone (facet joints). There are also spinous and transverse processes of bone where muscles attach for movement. The spine is designed to provide three vital functions for your body; support, protection, and flexibility. First, it provides the basic structure that muscles and other parts of your body, such as your shoulders and pelvis, are attached to. The spinal muscles in turn both hold the spine in the upright posture when standing and move the spine through its full range of motion. Your spine also supports your head, which usually weighs between ten and twelve pounds, about the weight of a bowling ball. Second, the vertebrae house and protect your spinal cord, which at any given time carries millions of vital messages between your brain and body. Nerves branch off from the spinal cord and exit from the openings between each vertebra to communicate with specific organs and parts of your body. For this reason alone, your spine is a very important part of your body. If you are experiencing nerve irritation from spinal misalignment then over time you are likely to feel the stress elsewhere as dysfunction. Suffering from heartburn, insomnia, lowered immune function, or sciatica doesn’t automatically mean you need chiropractic care but it can, and should, be ruled out. 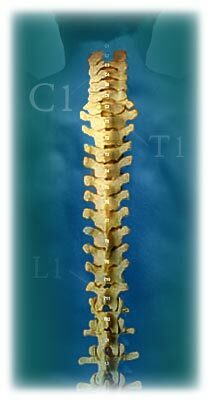 Third, the unique interlocking joint structure of the facet joints along with flexible discs between the vertebrae provides your body with great flexibility and mobility without compromising the integrity of the spinal cord. While the entire length of your spine is important for all these functions, the very top or first vertebra, known as the atlas, is particularly unique. It is, in fact, where the NUCCA method and other upper-cervical chiropractic techniques focus their attention.